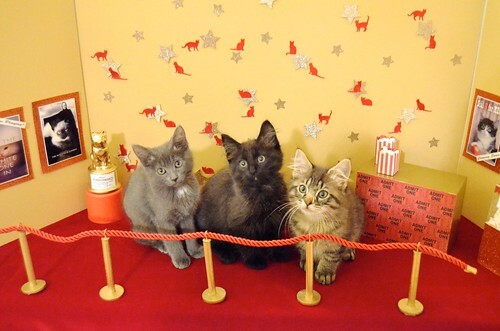 The Itty Bitty Kitty Committee: Coming Soon to a Theatre Near You! 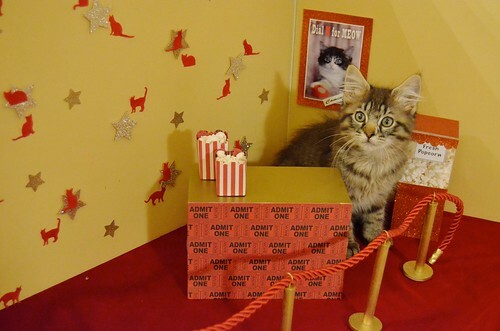 I'm super excited to announce today that the Internet Cat Video Festival will be coming to Tacoma's very own Grand Cinema on the evening of April 11th. 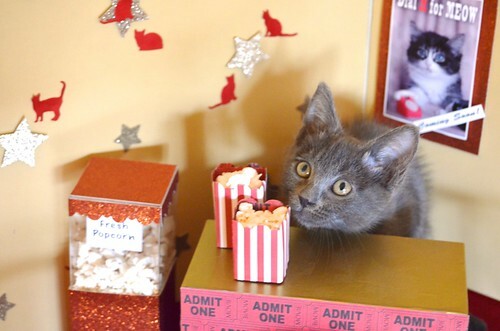 Surely you cat lovers have heard of this fest before -- it all started a few years back at the Walker Art Center where they compiled all of the very best cat videos from the Interwebs and shared them with a live audience for the very first "offline celebration of online cat videos." Now, this curated collection of cat and kitten clips tours, and we're so thrilled they're stopping by our town! The Itty Bitty Kitty Committee and the Humane Society for Tacoma and Pierce County will be joining in on this glorious event, and we hope you will come too! 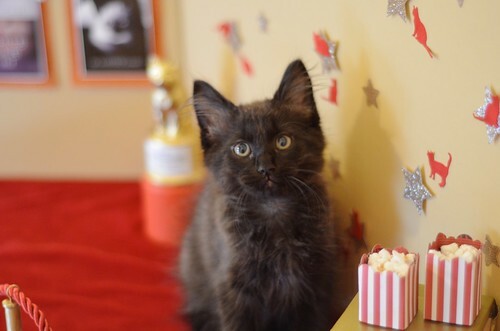 There will be prizes, we'll be collecting cat food donations for the shelter's Emergency Pet Food Pantry, and WYLLA, yes our dear little Wylla Stout will be making an appearance at the event! Charlene Butterbean was invited too, but she politely declined as she hates car rides and crowds make her nervous. Tickets are going fast, so if you want to join us, please don't delay! To learn more about the event and purchase your tickets please visit HERE or HERE. Got my ticket already ~ it's sure to sell out! I've been to it in Mpls/St.Paul! So much fun! I was able to go to this event in St Paul, Mn last year and it was such an amazing time! We have gone to the outdoor version in Minnesota. It's SO fun! :) Have a great time Tacoma! Please show us close-ups of your cat-themed movie posters! I will on a future post. The kitty version poster of "The Seventh Seal"... Hehe.